A fortnightly column reflecting on chapters of India’s political past that are relevant today. A violent mob mobilised by the Bharatiya Janata Party and Sangh parivar demolished the Babri Masjid in Ayodhya on December 6, 1992. The Ayodhya issue has roared back to life in recent weeks. Various wings and members of the Sangh parivar, including those in the government, are threatening to precipitate the construction of the Ram temple. It is thereby apt to recall, on the 30th anniversary, the process leading to the momentous Shilanyas ceremony of November 9, 1989 – paradoxically also the day when the Berlin Wall was brought down. In 1989, the Sangh parivar successfully put the Ayodhya dispute, or the Ram Janmabhoomi agitation, on the nation’s political centre stage. The Vishwa Hindu Parishad (VHP) was then its public spearhead and Bharatiya Janata Party (BJP) was a marginal party with just two members in the Lok Sabha. The year began ominously. 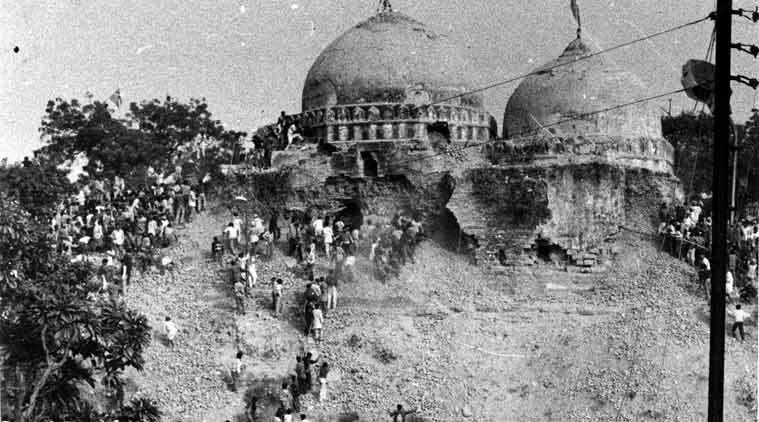 On January 31, the Muslim protectionist outfit – All India Babri Masjid Action Committee – announced the formation of hifajati dastas, or ‘defence squads’, for the Babri Masjid. In retaliation, the Kumbh mela in Allahabad was used, for the first time, to mobilise the Hindu clergy and canvass for the Ram temple. The VHP-organised Sant Sammelan concluded on February 1, and its leaders announced plans to lay the foundation of the temple on the day of devuththan ekadashi (the day Vishnu rises according to the Hindu almanac) in Ayodhya. The festival traditionally drew pilgrims in huge numbers to the tranquil temple-town and the VHP tactically chose this day because thousands of them would flock to it. To mobilise public support, the VHP also announced the to-be electrifying twin campaigns – the Shila Pujan and Shila Yatra programmes. These entailed manufacturing and consecrating bricks with Shri Ram embossed on them. After ritual pujas in lakhs of villages, towns and cities, these were taken in processions to Ayodhya. The bricks were intended to be used for constructing the temple. Joining rituals, or travelling with processions, provided people with a sense of participation in something momentous. From a marginal strife, the Ayodhya conflict was transformed into a mass movement. Communal riots, including clashes in Bhagalpur and Bijnore, were triggered when processions provocatively passed through Muslim-majority areas. By now, the Sangh parivar, too, was functioning like a well-oiled machine, each affiliate playing its part to perfection. The RSS was preparing for the final stages of the Hedgewar birth centenary celebrations and canvassing against the “continuous appeasement of minorities”. The BJP, after dabbling with secularism and Gandhian socialism, returned to its original Hindu moorings. 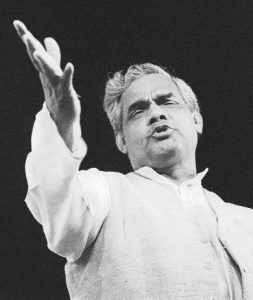 Atal Bihari Vajpayee, long considered the ‘right man in the wrong party’, declared at the Hedgewar centenary rally – held in April in New Delhi – that the Ram Janmabhoomi-Babri Masjid issue was an election issue. Besides voicing support for the Hindu Rashtra, he warned minorities to either give away their distinct identity, or face the worst. Two months later, on June 11, 1989, the BJP held its regular quarterly national executive meeting in Palampur, Himachal Pradesh. It was no ordinary meeting as it incorporated demands for the Ram temple in its agenda. The BJP demanded that the disputed shrine be “handed over to Hindus” and that the Congress and other political parties had displayed “callous unconcern” towards the “sentiments of the overwhelming majority in the country – the Hindus”. Significantly, the party resolution declared that the “nature of the controversy is such that it just cannot be sorted out by a court of law”. It recalled Somnath temple’s reconstruction and Sardar Vallabhai Patel’s role. This kickstarted the campaign to project Patel as a ‘true nationalist’ in place of Nehru because he promoted secularism which “had come to be equated with an allergy to Hinduism, and a synonym for Muslim appeasement”. After Palampur, the agitation was no longer just for ‘temple in place of mosque’. Instead, it assumed ideological proportions. The BJP affirmed that till the dispute remained unresolved to the satisfaction of Hindus, the nature and content of Indian nationalism would remain contentious. The Palampur resolution was the turning point in the Ram temple agitation. Hereafter, the Ayodhya movement reached a point in Indian polity when it was no longer possible to ignore its effect on politics and elections. Driven solely by anti-Congressism and corruption charges against the Rajiv Gandhi government, other opposition parties overlooked the BJP’s post-Palampur stance and worked at creating a nationwide anti-Congress alliance. The Left parties too agreed, although they did not directly tie-up with the BJP. Eventually, the 1989 election provided legitimacy to the BJP and it stopped being politically ostracised. Its bench strength in the Lok Sabha also rose dramatically from two seats to 85 in the ninth Lok Sabha. The Congress failed to block Shilanyas and Shila Pujan for fear of offending Hindu sentiments. It hoped to limit the damage to its electoral prospects if Shilanyas was allowed, provided that no law was violated and Babri Masjid was protected. The Congress presumed that it could get the votes of both Hindu and Muslim fundamentalists. Likewise, the National Front believed that an alliance with the BJP would secure hardline Hindu support while the Janata Dal could deliver minority support, especially in north India. Yet, it was the BJP which gained the most. Additionally, it repurposed the ‘pretentious’ jargon of the past and unabashedly unfurled the flag of political Hinduism. While the political ground for BJP’s ascendance was laid, the VHP planned its twin programmes. Union home ministry figures indicated a quantum jump in communal clashes from September 30 onwards – when the Shila Pujan began. The Congress had little political will. Moreover, the government was short of police personnel as elections were due in November. Home minister Buta Singh was deputed to find a way out to allow the government to claim it had let “things happen according to the law of the land”. On October 13, a unanimous resolution passed by non-BJP parties in the Lok Sabha requested the government to not permit Shilanyas and ask the VHP to “cancel the programme”. This advice went unheeded. Within the government, Singh’s hands were tied because P.V. Narasimha Rao headed the group of ministers on Ayodhya and was disinclined to prevent the programme. All efforts were restricted to providing Shilanyas with a semblance of legality. This became tougher after the Allahabad high court’s order in August which directed that the status quo of the disputed shrine and lands around be maintained. The question was whether the spot, identified unilaterally by the VHP for Shilanyas, was within the contested plot(s) or outside. From November 2, the VHP took physical control of the spot and Congress leaders merely parleyed to get the VHP to shift to a non-disputed spot. Eventually, the Indian State’s helplessness was stamped a day before the Shilanyas – when Buta Singh arrived with several others in tow. They included representative Muslim groups, the sub-registrar of the Allahabad high court, the advocate-general of the state and others. They spoke to local revenue officials with the only objective of being told that the site selected for Shilanyas was undisputed. Eventually, Singh spoke to Rajiv Gandhi. “Only after he was satisfied that the land was outside the purview of the disputed land, did it happen. That is how it was done,” he said later. But, the map on the basis of which the advocate-general opined that the selected site was not a part of the disputed property, was not to scale and there was no way of ascertaining on its basis if the spot was disputed or not. Moreover, the Shilanyas ceremony had no clearance from the Ayodhya special development authority. The decision was taken with electoral considerations and every party hoped to gain, but only the BJP benefitted. On November 9, hours after the Shilanyas ceremony, VHP leader Ashok Singhal said what was witnessed was “not a simple ceremony to lay the foundation of a new temple. We have today laid the foundation stone of a Hindu Rashtra”. Significantly, Buta Singh was not the only non-Sangh parivar leader to visit Faizabad-Ayodhya before Shilanyas. Rajiv Gandhi launched his party’s election campaign and Kamalapati Tripathi, C. Rajeshwar Rao, V.P. Singh and Syed Shahabuddin were among those who returned after being informed that the Babri Masjid was not threatened. They accepted assurances at face value, little realising that the programme was a major watershed which would totally alter Indian polity in the years to come. 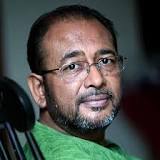 Nilanjan Mukhopadhyay is a writer and journalist. His first book, The Demolition: India At The Crossroads was published in the aftermath of the demolition of the Babri Masjid. He has also authored Narendra Modi: The Man, The Times and Sikhs: The Untold Agony of 1984.